A Printmaker's Journey toured three venues in Hampshire between March and November 2017. The exhibition included work selected from a wide range of disciplines and periods which led the visitor through the inspirations and affinities which have influenced her journey as a printmaker and designer. 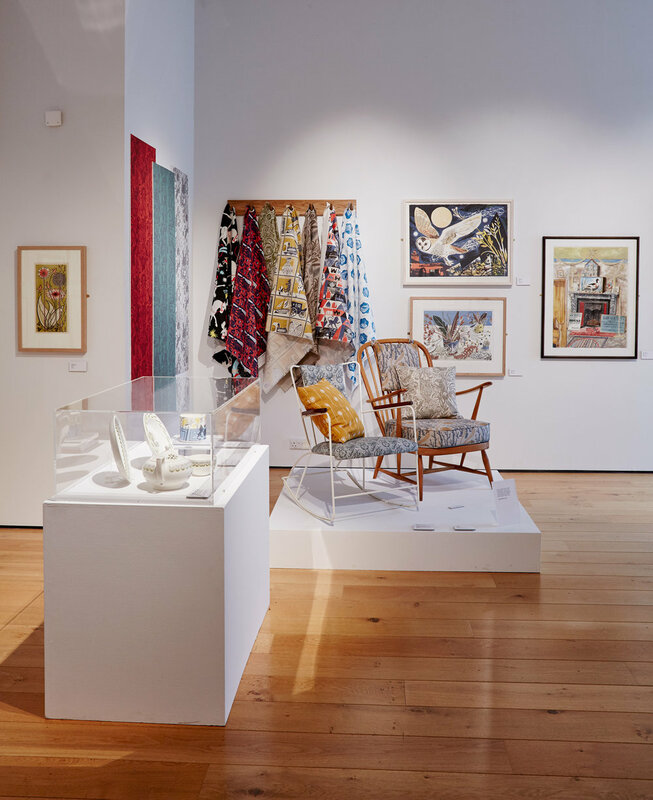 Paintings, textiles, prints, posters and ceramics by artists and designers including Eric Ravilious, Edward Bawden and Paul Morrison were displayed alongside work from various stages of Angie’s career. Here are some photographs taken by Alun Callender at the exhibition's first venue, Winchester Discovery Centre.